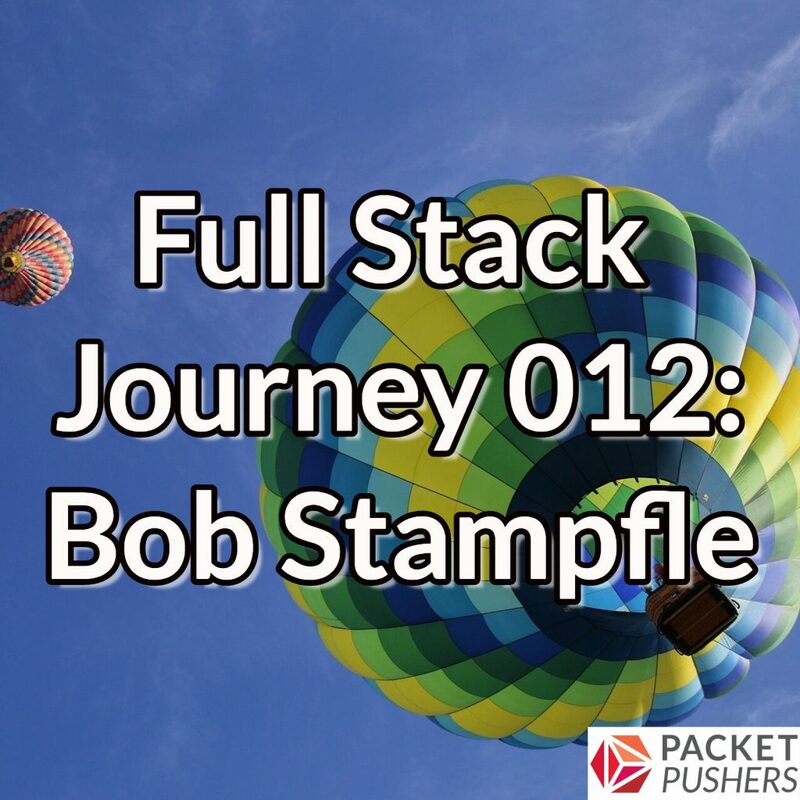 In episode 12 of Full Stack Journey we take a small detour from technology to talk more about people and process. Our special guest for this diversion is Bob Stampfle (@bobbyfantast1c on Twitter), who works as a Senior Transformation Consultant at VMware, Inc.
Bob’s focus is on helping customers “run IT as a business” and helping them make the most of new technologies. A lot of focus is placed on people and process, and how that relates to technology. Trying to help companies answer the question: how can we work better, faster, more effectively across IT silos? How does operational transformation interact with (if at all) the idea of full stack engineering? What are the recommendations Bob is making to customers with regards to employee development? Partnership (among/within the IT organization) starts with a conversation. Strike up a conversation, talk with other IT organization members, and communicate. Meet your teammates. How do you deal with the fear that comes with change and growth? In Bob’s view, “DevOps” is a mindset and a mentality of working together. It is not a SKU you can buy! Are there some common patterns in career development that have been successful? What is the “one thing” that truly defines a full stack engineer?